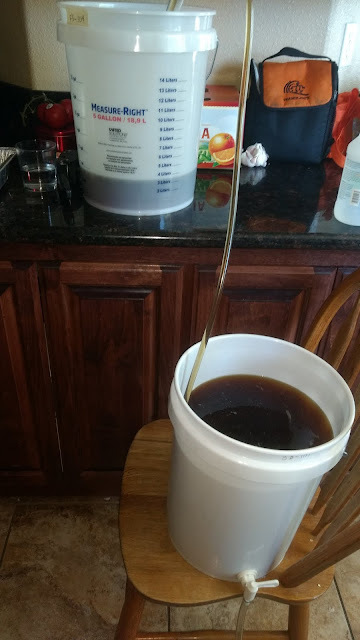 I let the coffee sit inside the brew for 4 days before I bottled it. Taste tests showed that that was sufficient time. The beer finished at 1.010, giving this 6.0% ABV. 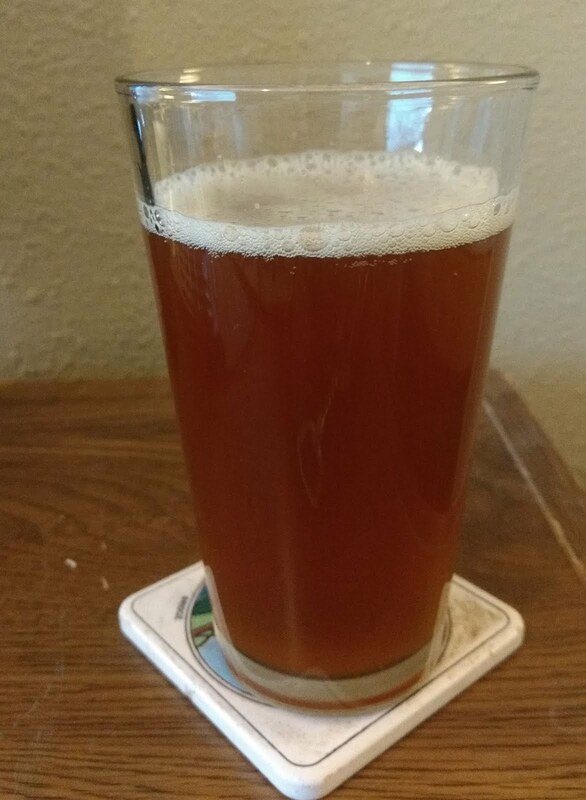 This has been pretty standard on all my brews as of late. 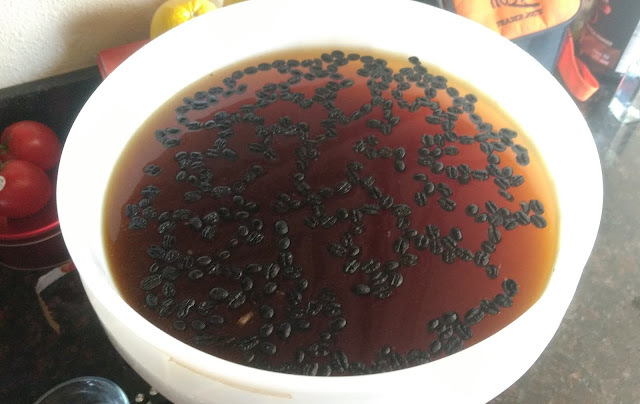 I was only able to treat the main fermenter with coffee beans. I bottled about 9 bottles that were not exposed to the coffee. This should help for a contrasting test taste. 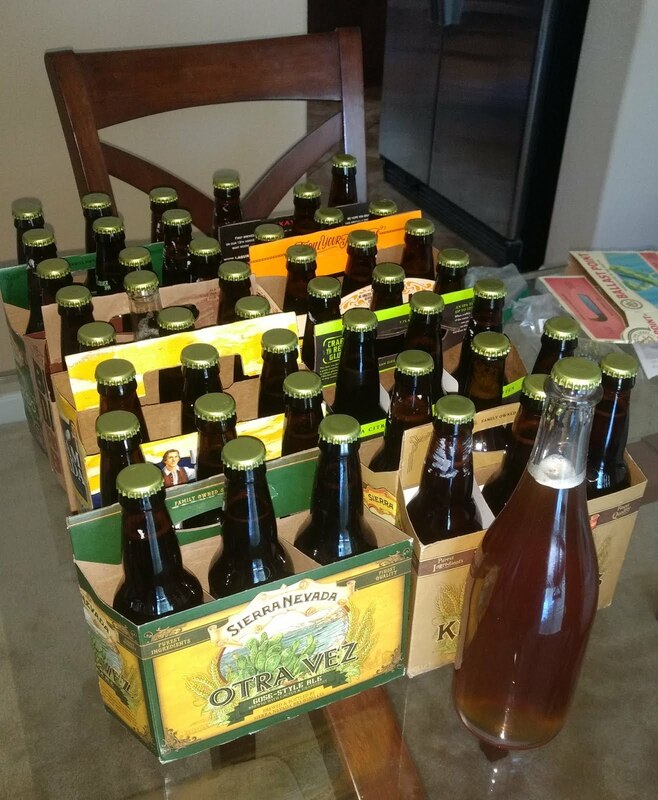 From the main lot, (45) 12 oz bottles and 1 champagne bottle were capped. That's a lot of beer! 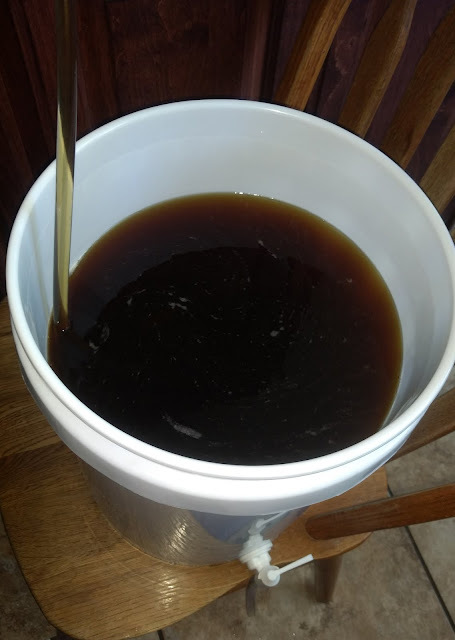 Within the week, the ale was carbonated. Tastes amazing! Cheers!